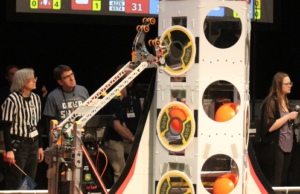 This past weekend Robotics team 525, also known as the SWART DOGS, qualified for the championships in Detroit after a robotics competition in South Dakota. At the championship competition, the team will travel to compete against other robotics teams across the world. The SWART DOGS have qualified for nationals every year since 2008, 2017 being the first year since that they did not qualify. Team 525 was established in 1999 by physics teacher Kenton Swartley. From there the team has won many titles and has been fulfilling its mission to promote STEM in the Cedar Valley. “We will collaborate as a team to shape the future of our students and inspire others by providing opportunities to learn, create and compete while guided by the principles of gracious professionalism” the team’s mission statement on its website. This year the team is composed of 38 students, each one taking an important role in the competition, building and background aspects of the team. The release of the challenge for this year’s contest was on Jan. 1, and from there the team has six weeks to plan and design a robot. After that period, the team bags up its robot, taking it to competitions across the country. 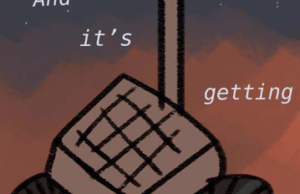 The teams earn points based on each second that the teeter totter is in their direction. The team with the most points wins and can form an alliance with two other teams to increase its score. The top team of the alliance will receive the title. At the world championships, the team will compete against over 400 teams for a world title. 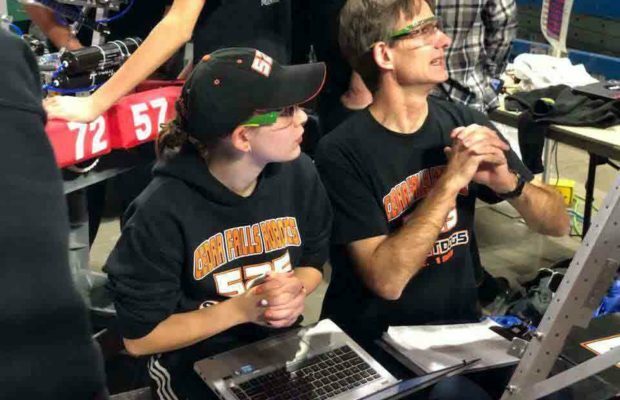 With so many robotic teams competing, the SWART DOGS have hopes of improvement and work ethic playing a part of their success on such a large scale. The team has had many successes over the years, which can be shown in the number of blue banners lining their shop. “You get awarded a blue banner for every regional championship and chairman award you receive. Another way is if a mentor gets a Woodie Flowers award. We ought to get them hung up in the gym, but we like to keep them for ourselves,” Swartley said with a laugh. The SWARTdogs will be competing at the Iowa Regional competition at the McLeod center on March 22-24. There will be 61 teams attending, and it will be the last competition before the team is sent off to compete at the world championship competition.